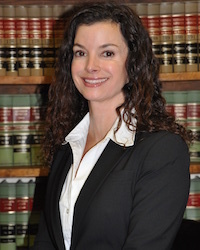 Kelli Khalaf has been an attorney with Vezina & Gattuso, L.L.C. since 2001. She focuses her practice on medical malpractice defense, prevention of fraud and abuse under the Federal False Claims Act, employment law, and general civil litigation. Kelli’s experience includes litigation in defending medical malpractice actions on both the trial and appellate levels. She serves as Special Assistant Attorney General for the State of Louisiana. She has also defended administrative claims involving HIPAA violations against the U.S. Department of Health and Hospitals. Kelli's practice also includes the representation of whistleblowers in Qui Tam actions, for fraud committed against the federal government and states around the country and overseas. Kelli represents educational organizations on matters relating to faculty and employee issues, student discipline matters, policies and procedures, student and faculty manuals, and employment contracts. Kelli represents health care professionals on matters relating to business related contracts. Kelli has litigated more than six (6) jury trials. She has argued in front of the Fourth and Fifth Circuit Courts of Appeal. In re Med. Review Panel of Hurst, 2016-0934 (La. App. 4 Cir. 5/3/17), 220 So. 3d 121, 126, 2017 WL 1719051, reh'g denied (May 11, 2017), writ denied, 2017-0803 (La. 9/22/17), 228 So. 3d 744, 2017 WL 4546566. Noteworthy medical malpractice action that limits the extension of prescription through the discovery doctrine exception by heightening plaintiff's burden to plead specific facts substantiating his alleged lack of knowledge. The Fourth Circuit Court of Appeal correctly affirmed the trial court's decision and dismissed this claim. The Louisiana Supreme Court also correctly denied the writ of certiorari. Bertoniere v. Jefferson Parish Hospital Service District No. 2, 972 So.2d 328, 07-301 (La. App. 5 Cir. 10/30/07, cert. denied, 2008 La. LEXIS 400 (La. 2008). Significant medical malpractice action that narrowed the statue of limitations by applying constructive knowledge doctrine. This case also recognized individual prescriptive periods for separate allegations of malpractice. Kelli Khalaf served as trial counsel on behalf of the Louisiana Patient’s Compensation Fund. The Court of Appeal correctly dismissed this action in favor of the Louisiana Patient’s Compensation Fund. The Louisiana Supreme Court also correctly denied the writ of certiorari. Mitchell v. Rehab. Inst. of New Orleans, 953 So. 2d 75, 2006-0910, (La. App. 4th Cir. 2/14/07), cert. denied, 2008 La. LEXIS 1872 (La. 2008). Noteworthy medical malpractice action that limited the scope of interruption of prescription to the provisions in the Medical Malpractice Act. Kelli Khalaf served as counsel for the State of Louisiana and the state healthcare provider. This case clarified that the Medical Malpractice Act governs prescription alone without the application of the codal articles. Specifically, this was the first case that addressed the application of solidary liability between defendants covered by both the MLSSA and MMS in order to suspend prescription. The Fourth Circuit Court of Appeal correctly dismissed the State of Louisiana and the state healthcare provider. The Louisiana Supreme Court also denied the writ of certiori. Landry v. Leonard J. Chabert Med. Ctr., 858 So. 2d 454, 2002-1559 (La. App. 1st Cir. 5/14/03), cert. denied, 855 So. 2d 761 (La. Oct. 17, 2003). Important medical malpractice decision that restricted the offer of judgment codal article by calculating simultaneous offers of judgment in globo. Kelli Khalaf served as trial counsel on behalf of Leonard Chabert Medical Center and the state employed physicians. The Court of Appeal correctly reversed the trial court’s award of costs because the total amount of the offers of judgment exceeded the medical malpractice cap. The Louisiana Supreme Court also denied the writ of certiori. In re Pertuit, 49 So.3d 932, 2010-0654 (La. App. 4th Cir. 9/22/2010). Medical malpractice action that limited the informed consent doctrine to disclosure of only feasible or appropriate alternative treatments. Kelli Khalaf served as counsel for LSU and the state employed physician. The Fourth Circuit Court of Appeal correctly affirmed the trial court’s decision and dismissed this suit. Taylor v. Boudreaux, 2010 La. LEXIS 920 (La. 2010), cert. denied, 25 So. 3d 216 (La. App. 5th Cir. 2009). This case clarified the obvious careless act exception in the Medical Malpractice Act. Kelli Khalaf served as counsel for the State of Louisiana and the state employed physician. The Court of Appeal correctly found that no expert testimony was needed to defeat the motion for summary judgment and reversed the trial court’s decision in favor of the State of Louisiana and the state employed physician. The Louisiana Supreme Court also correctly denied the writ of certiori.